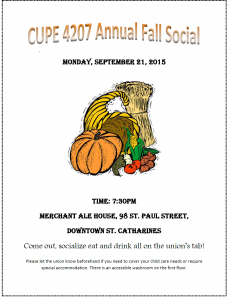 It’s here again our Annual Fall Social! 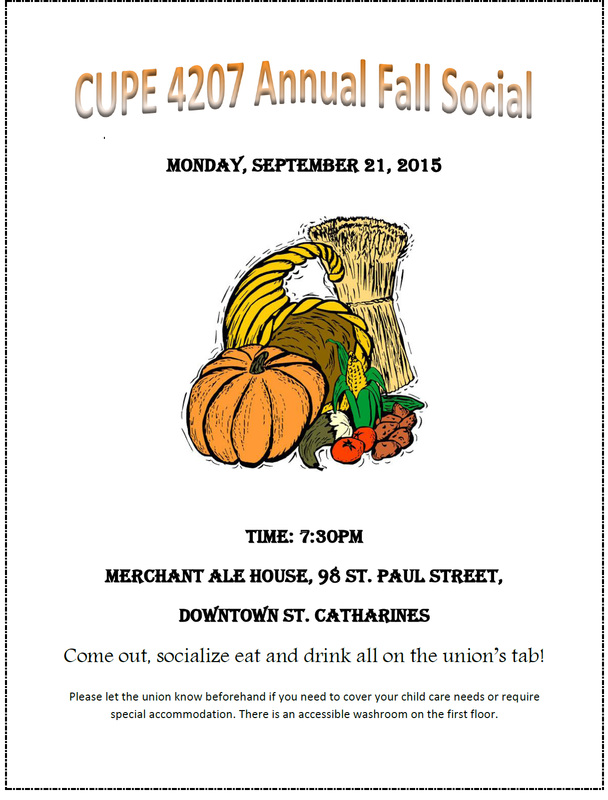 This year our social will be held on Monday, September 21 at the Merchant Ale House. The event starts at 7:30pm. It is a great chance to socialize and meet fellow members. Come on out to eat and drink all on the union’s tab! Please let the union know beforehand if you need to cover your child care needs or require special accommodation. There is an accessible washroom on the first floor. Please drink responsibly.